They join an exclusive club with The Beatles and Queen, after their greatest hits album Gold pushed through the barrier this week. The album was released in October 1992 and has continued to sell consistently. Only Queen's Greatest Hits and The Beatles' Sgt Pepper's Lonely Hearts Club Band have achieved five million sales, according to the Official Charts Company which compiled the data. 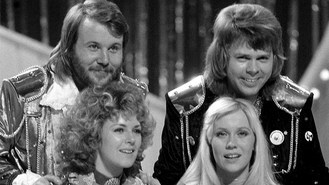 Abba scored nine number one singles after making their chart debut in 1974 with Eurovision winner Waterloo. Official Charts Company managing director Martin Talbot said: "This is another incredible record in a career of extraordinary achievements for Abba, who are unquestionably one of British music fans' all-time favourite acts. "Over the past 20 years, one in every five households has bought a copy of Gold, which is a truly remarkable statistic." Abba Gold is 46,000 copies behind Sgt. Pepper. Adele's 21 recently became the fifth biggest seller in the UK.